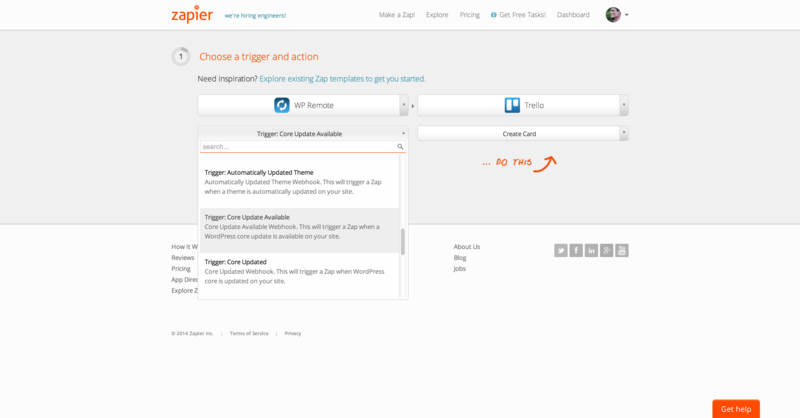 Zapier will bring new levels of automation to your life. 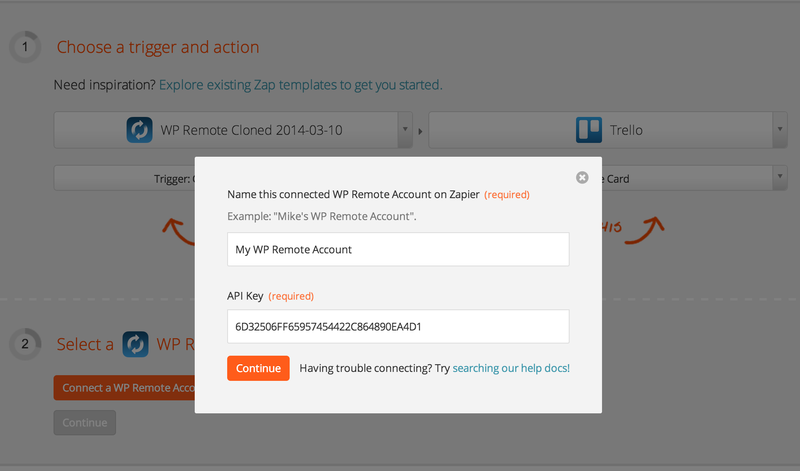 We’ve built WP Remote into Zapier, to put the power of WP Remote into our users hands. With Zapier you can start creating Zaps like whenever an a new version of WordPress Core is released, create a Trello card to remind you to test out the new version in your staging environment. From here we can select what we want to do. What our trigger is going to be, and what action is to be performed when the trigger fired. 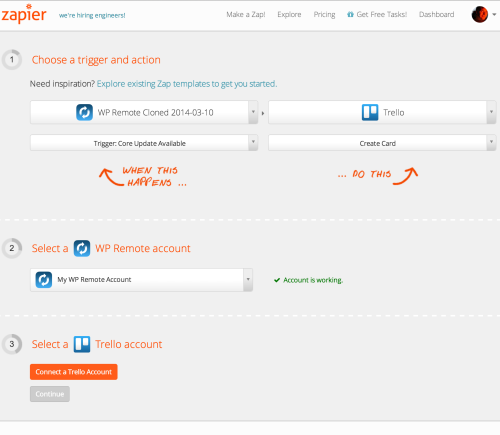 We’re going to select WP Remote as our Trigger, and Trello, as our action. The triggers and actions select will dictate how the two apps interact. 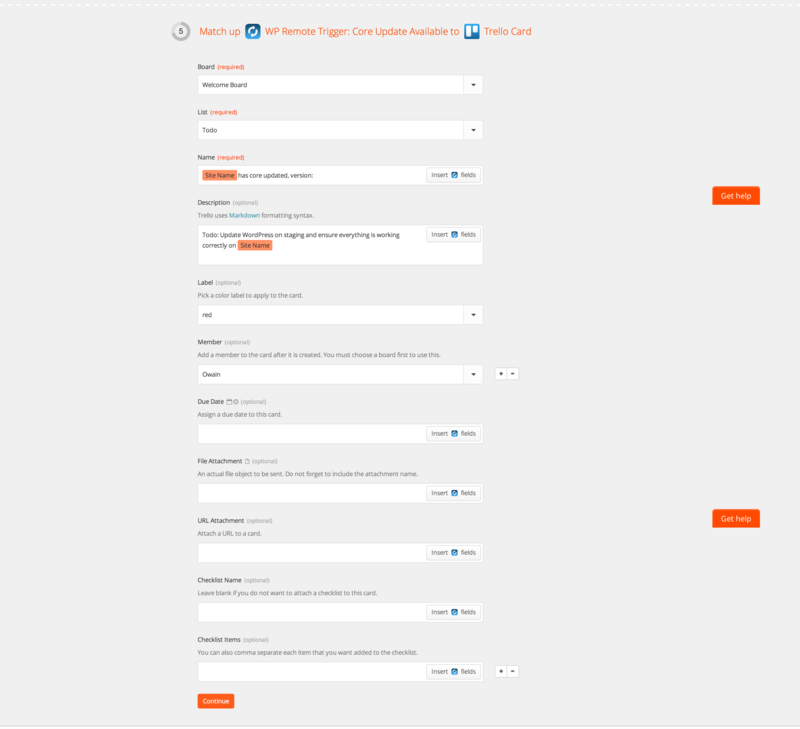 Our trigger is going to be whenever a WordPress Update becomes available we want to create a new Card in one of our existing lists in Trello. Once we’ve done that we’ll continue to the next step. We must now connect WP Remote to our Zapier Account. 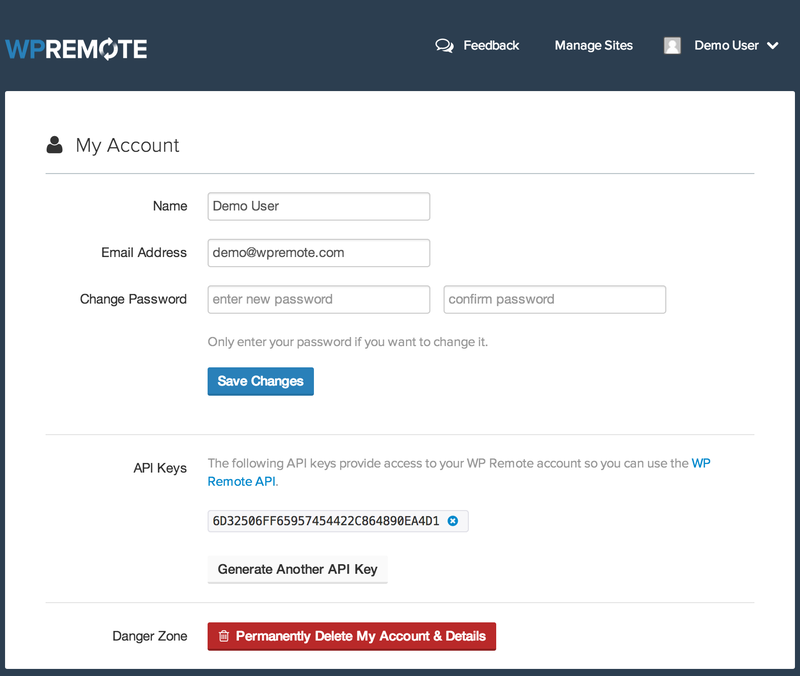 Get your WP Remote API Key from the your WP Remote account view. 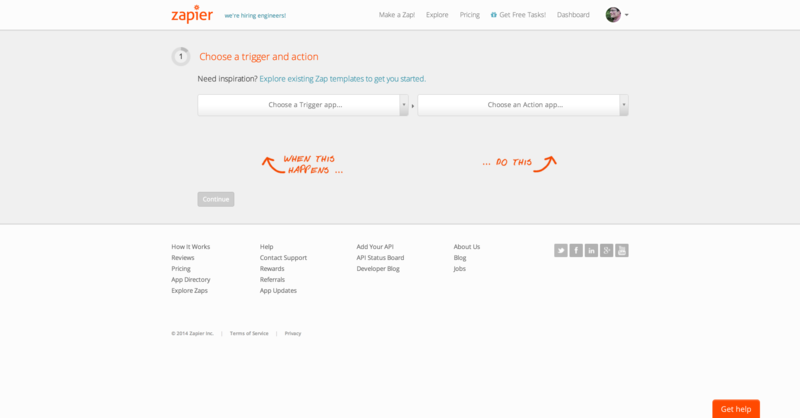 Copy it, and paste it into the prompt Zapier gives you. See below. We’ll also connect Trello as well. 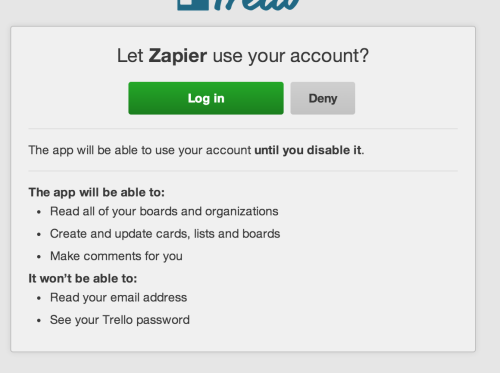 Click connect, and a window will appear, asking you to login to Trello, and then for permission to connect. Once both of our apps have been connected, we can then begin setting up our Zap. Below is a how I’ve setup my Zap. 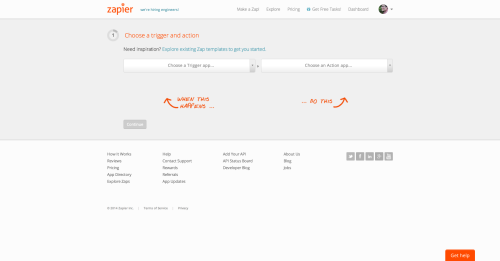 Insert fields: This allows us to take data that WP Remote passes to Zapier and use it dynamically to make our Trello notes more relevant. In our case, we’re going to use the ‘Site Name’ data field, so in Trello we’ll know what site it’s talking about. 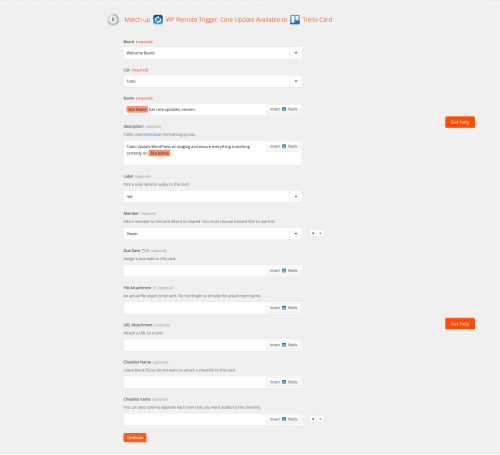 As you can tell from the image above there is a lot of customising we can do with Trello. I’ve kept the example simple, but I encourage you to play around with it so you get a good understanding of what’s going on. 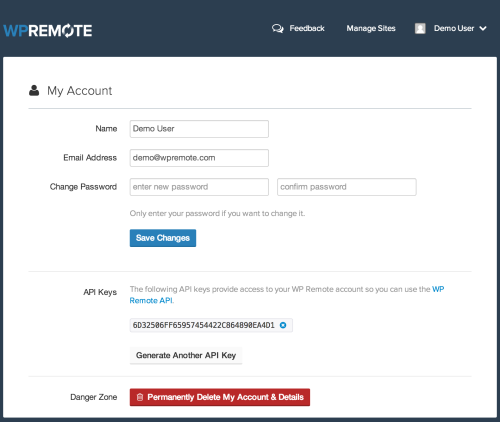 We can now run a test of our newly created Zap. This will send some dummy data from WP Remote to Trello, so you can see what the it’ll look like. 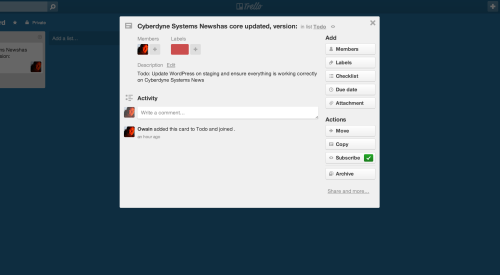 Below you can see the test has run, and created a new card in Trello, reminding a member of the team test the latest version of WordPress on our staging environment. Once you’re happy we can continue on to name the Zap, simple names, so at a glance you know what’s happening. Once you’ve created your Zap you’ll see the screen below. From here we have control over all our Zaps. If we no longer want to have Core updates push to Trello, we can simply disable/enable the Zap from here. Also don’t forget to share the Zaps you create! Not only will other people be able to benefit from your ideas but also sharing Zaps has its rewards within Zapier as well. Increasing your amount of monthly tasks.